A very clever and challenging 1,000 piece puzzle measuring 27-inches wide x 20-inches tall and showing 6 of Pink Floyd's most famous album covers painted on the backs of 6 beautiful ladies. 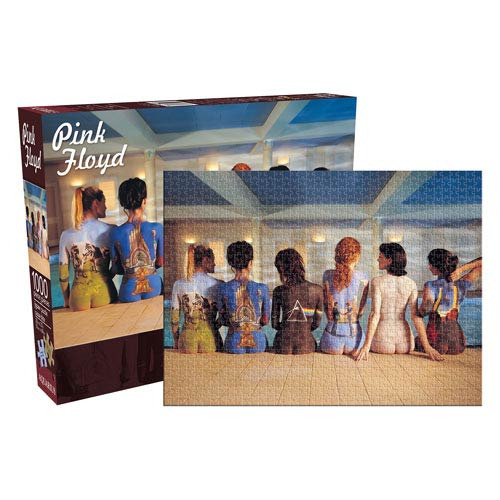 This Pink Floyd Back Art Puzzle is great for puzzle enthusiasts as well as Pink Floyd fans. Jigsaw puzzle features snug interlocking pieces that are vibrantly colored. Ages 14 and up.